Honda will launch two new cars in India next year – the 2018 CR-V and the all-new Amaze. Both cars will be shown at the upcoming, 2018 Indian Auto Expo, but will be launched later in the year. The 2018 CR-V to be sold here will get 7 seats and a turbodiesel engine. The CR-V’s 7 seat version will be Honda’s answer to the best selling Toyota Fortuner in the luxury SUV space. The SUV is in its fifth generation, and for the time ever in India, will be getting a diesel motor. The 1.6 liter diesel engine is an all-aluminium unit with twin turbochargers. Outputs are rated at 160 Bhp-350 Nm. Another interesting bit about this new SUV is its 9 speed automatic gearbox. Honda will localize the diesel engine to keep costs low. Notably, the Japanese automaker already assembles the 1.6 liter i-DTEC diesel motor in India. The new CR-V is expected to pack in the 2.4 liter petrol engine option, too. While an all-wheel drive layout is likely to be offered with the petrol engine, it remains to be seen if Honda will offer such an option on the diesel motor. The CR-V is likely to carry a starting price tag of about 25 lakh rupees, and will be assembled in India. Coming to the all-new version of the Amaze compact sedan, the car will take on the Maruti Dzire, the Hyundai Xcent, the Volkswagen Ameo and the Ford Figo Aspire. 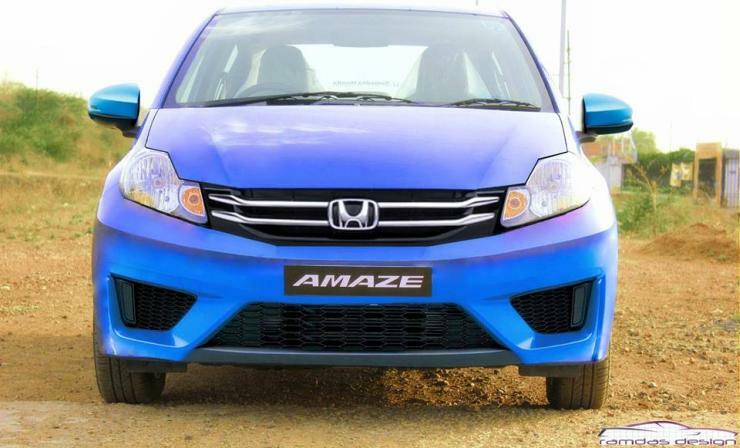 First launched in 2012, the Amaze proved to be a big hit for the automaker initially. Now though, it’s lost steam to newer entrants in the compact sedan space. The all-new Amaze will get a major stylistic revamp, with a lot of new features added. The petrol and turbo diesel engines are likely to be carried over unchanged, and so are the manual and automatic transmissions. Prices are likely to remain similar to those of the outgoing model, ranging between 5.5-8.5 lakh rupees.